Sarana’s inception dates back to the life of Alido Di Iorio and the formation of the Gitche M’Qua Centre for Healing & Dying. Re-diagnosed with brain cancer in 1997, Alido’s journey and subsequent death a year later, is a testament to a story of healing and community. Alido was given the name Gitche M’Qua (meaning Great Bear) by an Indigenous Elder. In the traditional Medicine Wheel, bear represents the west and the human processes of healing, transformation and dying. 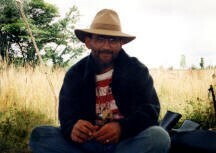 Alido’s vision was to create an environment on the land where people could come to for healing and transformation. His final year revealed how meeting our illness could be a personal healing process and how a community could become a powerful circle of compassionate caregiving. In 2002, his wife, Angie, together with her new partner, Andrew, continued his legacy by establishing a not-for-profit charity, Gitche M’Qua Centre for Healing & Dying . They began developing programs with the intention to expand our understanding of death and to explore the means for compassionate care of the dying. With mindfulness practice as a basis for training caregivers in the Hospice & Palliative Care community, they invited many wonderful meditation and spiritual teachers to Toronto to share their views on death, dying, and meditation practice. These included Sharon Salsberg, Roshi Joan Halifax, Ven. Dhyani Ywahoo, Frank Ostaseski, Diane Longboat and Okhi Simine Forest. Gitche M’Qua Centre became known for its commitment to end-of-life education and caregiver support as well as hosting local and international teachers. In the fall of 2014, Gitche M’Qua was renamed Sarana Institute and we entered a revisioning and renewal process. While “Sarana” is much easier to pronounce and spell than “Gitche M’Qua”, we always honour his story . The new name sarana comes from ancient Pali, the written language from the time of the Buddha, and it means ‘source, refuge and sanctuary’. It reminds us of our need for a spiritual source of strength and power to sustain ourselves. Similar to the strength we draw from the Buddhist practices of mindfulness and compassion, there are other sources of refuge, like being in nature or following our faith, traditions and practices. All share similar roots which remind us of the importance of love, respect for our interconnectedness and freedom from suffering and aggression. In 2015, Sarana updated the strategic plan and under the direction of our new chair, Maureen Flanagan, Sarana Institute has established a new incarnation and mission. Although Sarana is a leading resource in mindfulness and compassion training for the health care community, it isn’t only the health care community that will benefit from this kind of training. The demands for all of us in caring for the aging, ill, and those at end of life will soon reach a crisis point in Canada. The burden of our aging population and healthcare limitations will become each of our concerns in the near future. This is why Sarana will be expanding the training of mindfulness and compassion to family and volunteer caregivers and beyond by also focussing on the next generation of Youth and each of our relationship with the Natural World. 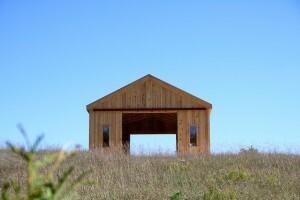 The Barn Temple at Sarana Springs was built in 2008 from memorial donations to continue Gitche M’Qua’s dream of community gathering on the land.